Name: Watercolor Class at Pik-itz! 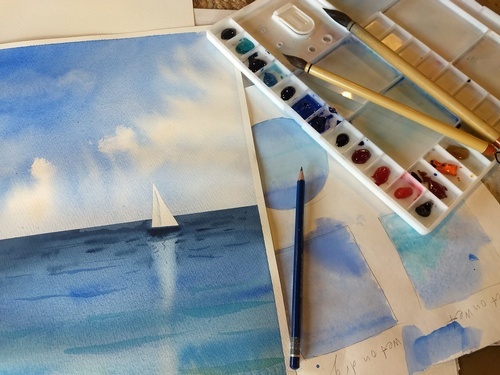 Our beginning watercolor course is designed for adults who are completely new to watercolors. During this 4-week course, you will learn main watercolor techniques. Together we will paint 3 watercolor artworks. Through step by step demos you will learn effective ways to mix desired colors. After completing the beginner's course you will be able to continue painting on your own or join our weekly art group. Cost is $120 and all supplies are included.